I found this pale pink drawer pull at a garage sale, I removed the hardware and attached a handmade copper cap to it. I think the drawer pull is plastic as it is light weight. 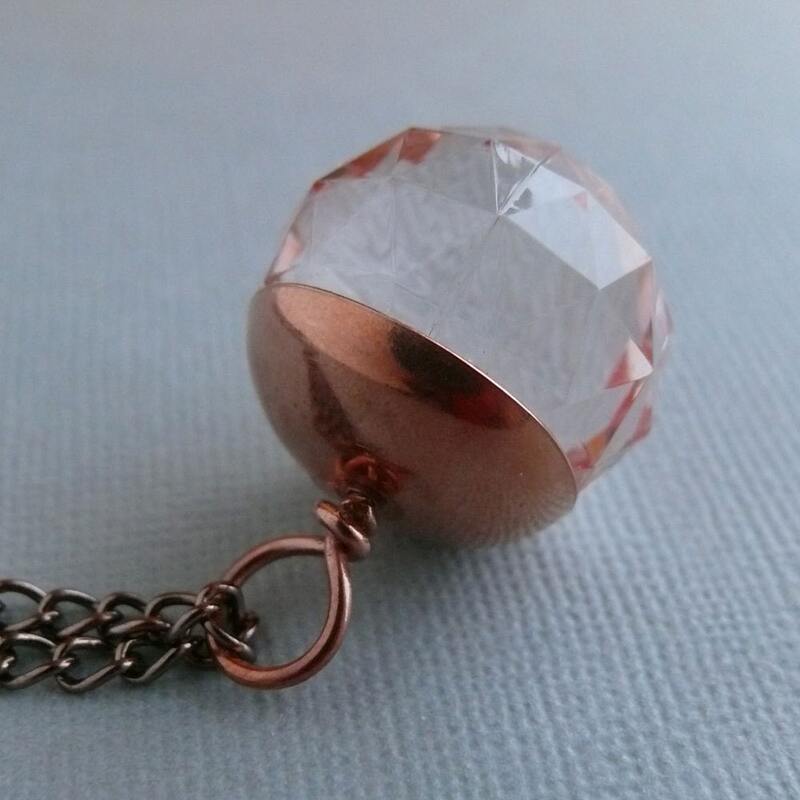 The pale pink ball is facetted and it sparkles in the light.